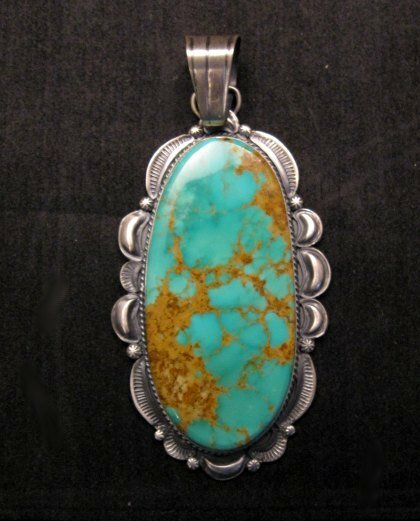 Magnificent Native American handmade sterling silver & turquoise pendant, created by Navajo silversmith, Gilbert Tom. 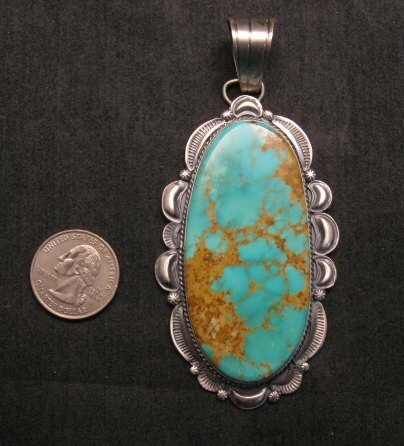 The Kingman turquoise stone used in this pendant is breath-taking and it is set in an old pawn style setting. 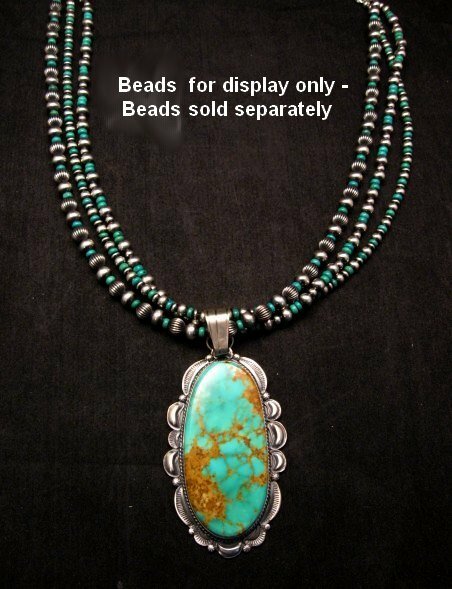 The Kingman turquoise stone is a perfect turquoise color with sandy colored matrix. The satin finish accentuates the beautiful stone. The stone measures 2-5/8" by 1-1/4" and the pendant measures 4-1/8" long including the bale by almost 2" wide with a total weight of 45.8 grams! The oversized bale can handle a necklace up to 1/2 inch in diameter. Brand new and in perfect condition. Gift Box and Certificate of Authenticity included. Hallmarked by the artist, Gilbert Tom.